If you’re a regular reader here at Redmond Pie, you will have insight to the rather incredible world of knock-off products. Whichever gadget you care to name, you can almost guarantee that the bootleggers are, as they do best, keepin’ it real fake. In terms of Apple products, we’ve pretty much seen it all. From fake iPods, iPads and iPhones, to fake Steve Jobs biographies, websites, and even fake Apple Stores, there really isn’t anything left of the fruit company’s to rip off. 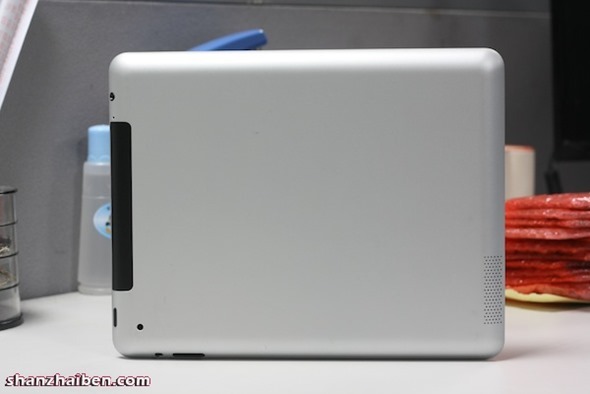 The latest in the series is an extremely plausible iPad 2 replica, which, unless scrutinized, could quite easily pass as the real deal. In cases such as this, we’ve come to expect, at best, a lookalike product with substandard specs. This time around, however, it appears the innards have also been taken into consideration to create easily the best second-gen ‘iPad’ we have seen so far. Taking a look at the front, you could be mistaken for thinking it was a snap of a genuine unboxing. 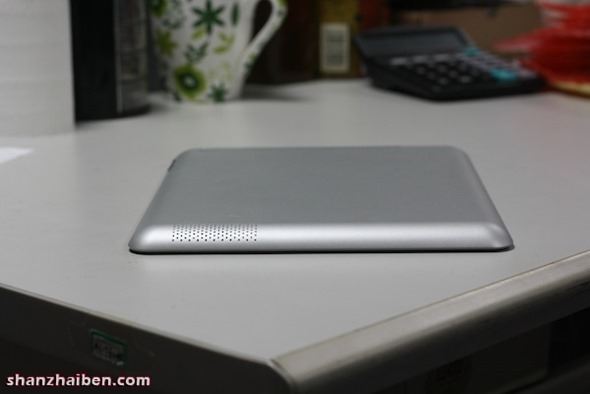 It sports a nifty 1.2 GHz Freescale iMX535 processor, 1GB of RAM and 4GB of internal storage space! 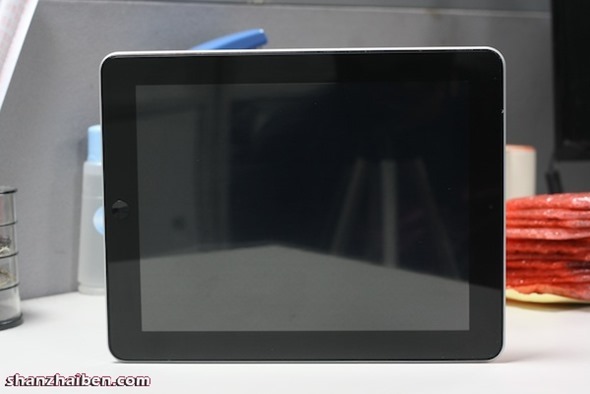 The screen is an impressive 9.7-inch, 1024×768 multi-touch – identical to the iPad 2, perfect for viewing images snapped on the 2 megapixel and 3 megapixel cameras located on the front and back of the unit respectively. It is thought to run on Android 2.3, although it is most likely presented in that unmistakable iOS style. As if the above wasn’t impressive enough, there is also a dual-channel speaker, Bluetooth and has 3G connectivity. Despite being slightly thicker than the iPad 2, it is by no means what you’d call a brick. 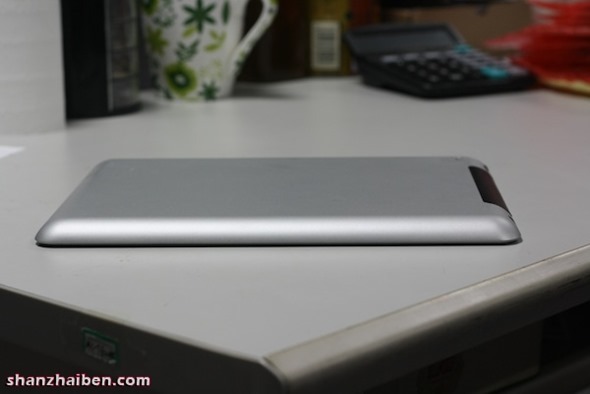 In fact, the 243 x 190 x 11.5 mm dimensions mean it is in fact thinner than the original iPad. The 7600 mAh battery allows continual video playback for a more-than-respectable 7 hours. If you’re expecting the grand finale of the usual uber-cheap price tag, unfortunately, it is yet to be revealed, although if similar products of the past are anything to go by, it is likely to significantly undercut the fruit company’s valuation of the legit product. When the device becomes available, we will try and present a hands-on for purpose of interest. In the meantime, here are some more images for your viewing pleasure.